For rather obvious reasons, traveling would be pretty darned difficult without transportation – so here is a little photographic ode to the different methods of transportation I’ve experienced over the years, inspired by Where’s my backpack? It’s shameful but I don’t even have a picture of the NYC subway even though it was integral when I was growing up. I guess I just took it so much for granted that I never thought to take a picture of it… unless if it was of a freakishly huge rat or something. In any case, prepare to be… transported. 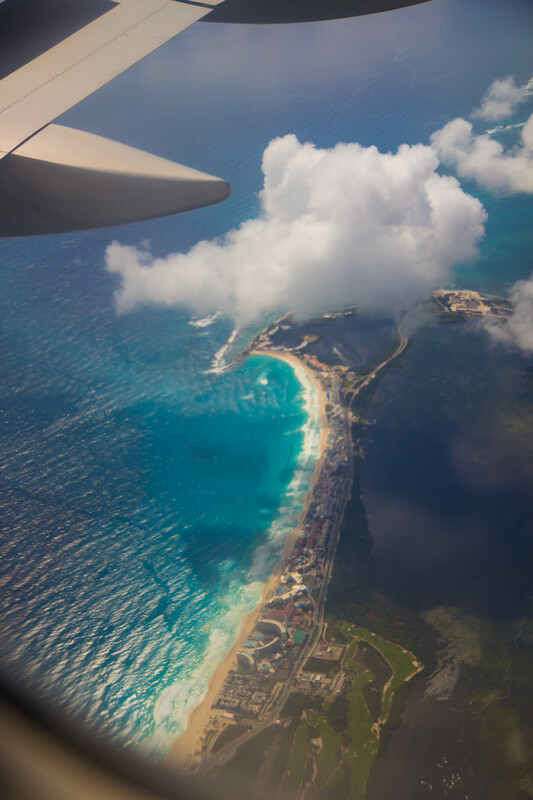 From the window of our airplane as it circled above Cancun, before heading in for landing. The narrow, heavily developed strip of land is the main touristy area of Cancun with all the fancy hotels and beaches. On one side is the turquoise Caribbean Sea with foamy waves washing up on picture perfect beaches and the other side is the more peaceful Nichupte Lagoon. From up above, it already lookes postcard-perfect! Do you know about bike shares? I don’t think they’re as big in the US but perhaps more common in Europe and also apparently in Ottawa, where we saw these bikes. Basically bike-shares are stations where public bikes are offered – you pay to get a bike (and sometimes a helmet) and then can return it to another station. Usually payment is based on the amount of time used. 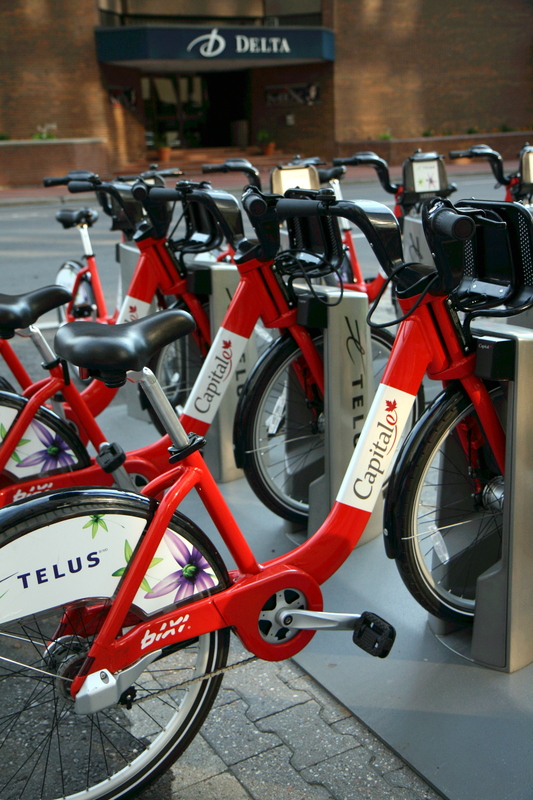 It’s a pretty cool idea and quite green – the bike-share program in Ottawa is called Bixi and consists of these cheerful bright red bikes, plastered with advertising but you gotta pay for it somehow right? This is definitely a fun and speedy way to get around in the water – jet-ski! 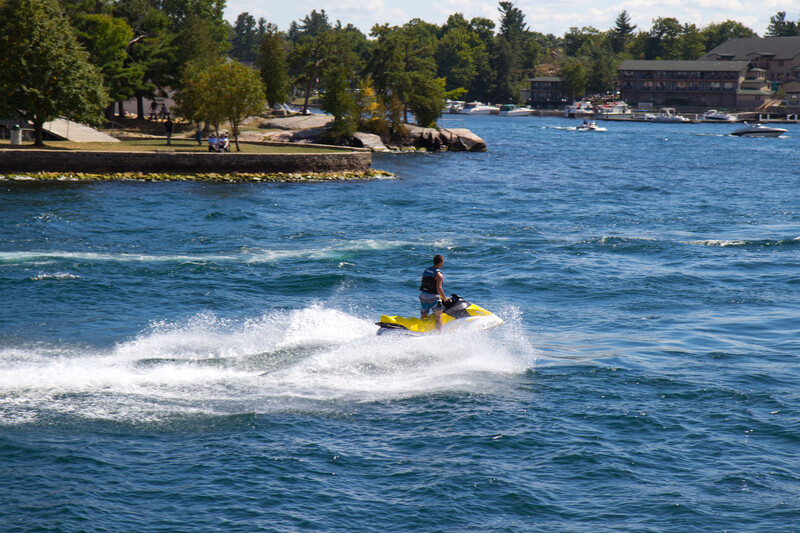 This guy was jet-skiing around the Alexandria Bay in the Thousand Islands region of NY – and he wasn’t alone, plenty of other people were out enjoying the water on Labor Day and soaking in the summer sun. 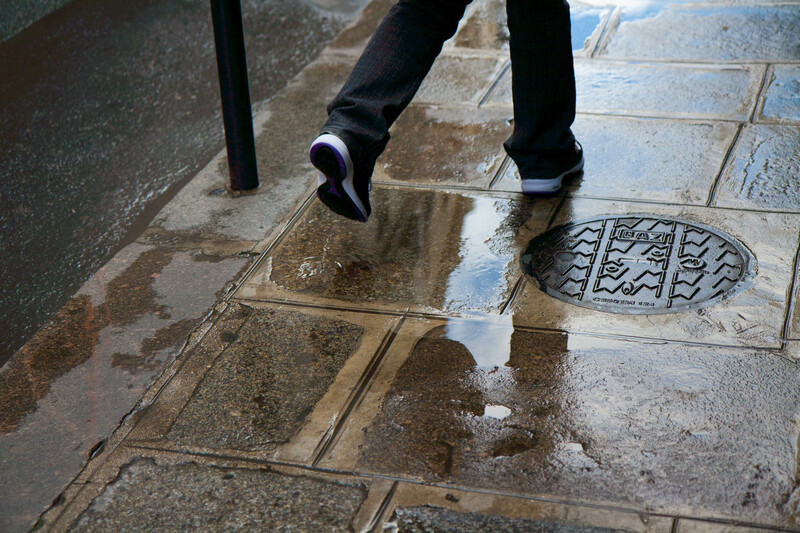 The most basic and reliable way to get around, if a little slower – your two feet! Here I snapped a friend as we were walking through the damp streets of Paris. A beautiful city, in the rain and in drier weather as well. 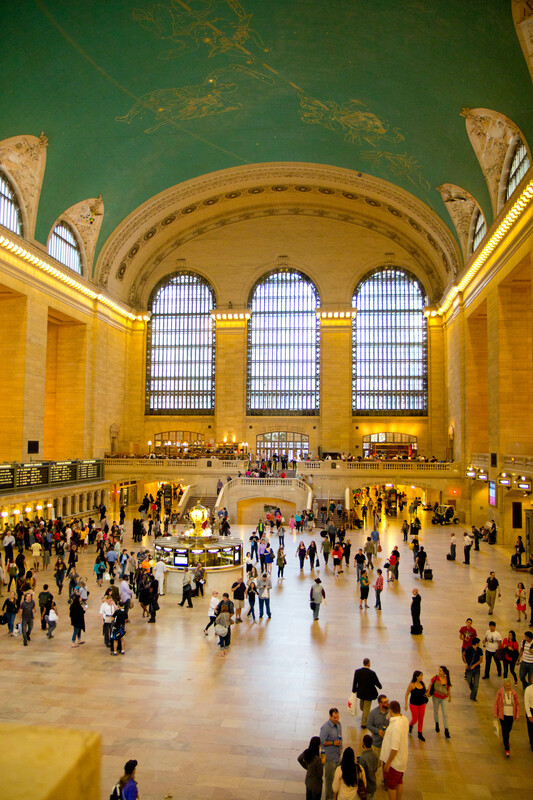 One of my favorite places in NYC and one that I love to take out-of-towners to – Grand Central Station. It’s always lively and bustling – and now that they have the Apple store I have a place to charge my iPhone if it’s running low while I’m out and about. I’ve honestly never taken a train here and I find it a bit bewildering! 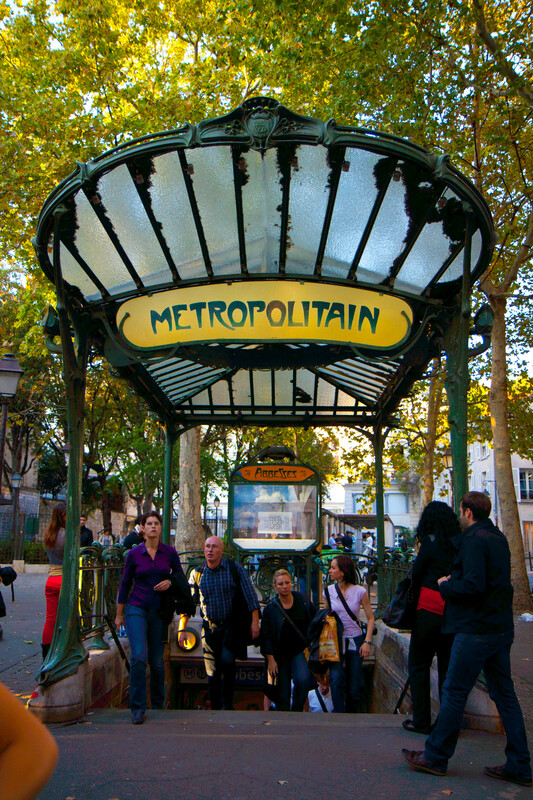 No pictures of NYC subway but I had to get one of the Paris metro! In fact I realize that I have photos of many other city subway systems (Tokyo, Seoul, Beijing and other Chinese cities) but not NYC! In any case, I love the Art Nouveau style of the station. Love the photos! Transportation is so integral to traveling yet you it’s rare to stop to look at it all together – well done!